Official Skype App 1.0 has been release for windows phone 7. 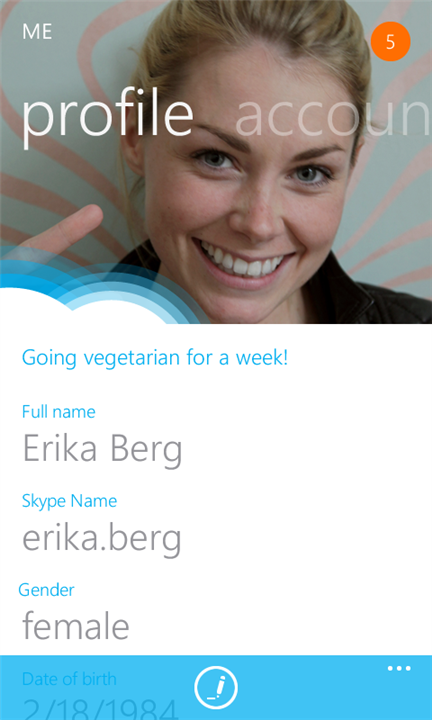 Skype for Windows Phone helps you connect with friends and family instantly with free voice and video calls. The app has been available in 18 languages: English, Danish, Dutch, Finnish, French, German, Italian, Japanese, Korean, Norwegian, Polish, European Portuguese, Brazilian Portuguese, Russian, Simplified Chinese, Spanish, Swedish, and Traditional Chinese.